Very rarely can we expect a decent meal in the highway and Haritam has always been one of my favourite stops thanks to the fact they are one of the few places with good car parking space and one doesn’t have to worry about hygiene issues here. And not to mention the fact that it’s located exactly 99kms from Chennai making it our pitstop during bike rides too. This time, I ordered their Navadanya Tiffen that’s made with millets. Though I’ll be the last person on earth to care about the health aspects, I personally love the taste of millets and I couldn’t not try this. 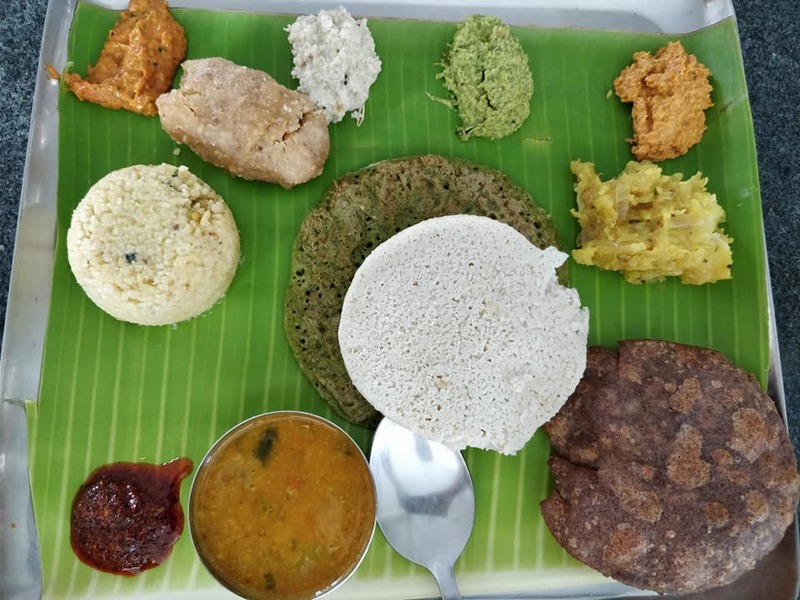 It consisted of Idly, pesarattu, poori, pongal and a sweet. The meal is priced at Rs. 145 and I felt it was worth every penny. Obviously there can’t be a break on a long drive without a coffee. That was another Rs. 35. I also got to speak to the owner who had closed down a branch they had in Kilpauk. Looks like they’re moving to Anna Nagar. Quite a wholesome experience on the whole and Haritam is a place you won’t mind recommending once you try them. Enter your email address to subscribe to Mister Madras and receive notifications of new posts by email.